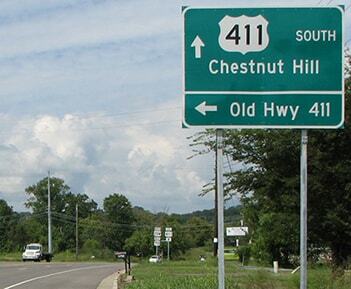 Note: this page is about the current US 411, which is actually the third route to carry that designation. 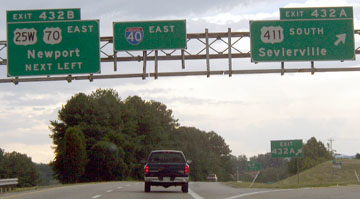 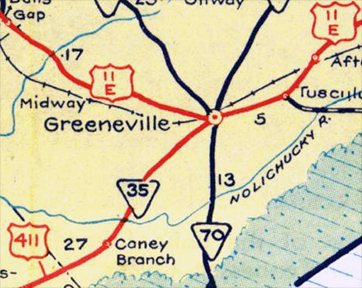 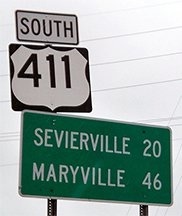 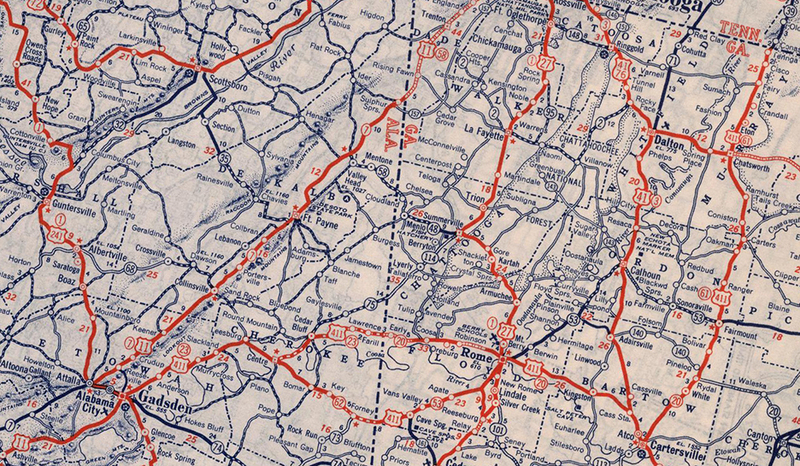 There are separate pages for the original US 411 and the second US 411. 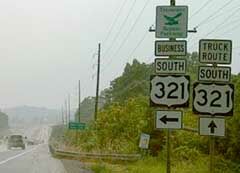 To the right on 3rd was the south beginning of US 411. 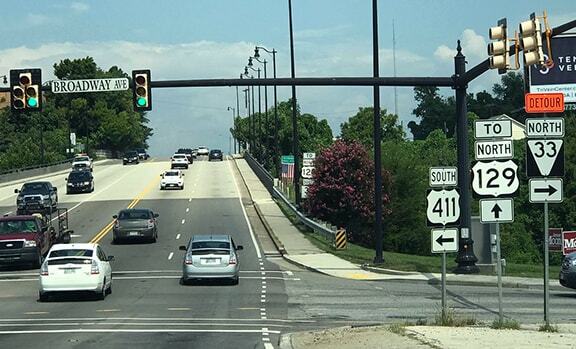 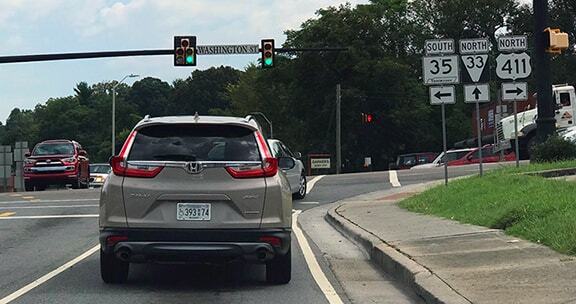 If a driver turns that direction, they will soon come to the modern functional equivalent of this historic junction, because today highway traffic is routed over a newer bridge along Meighan Boulevard, a couple blocks north of Broad. 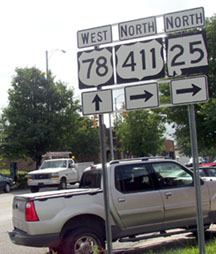 US 411 terminated there, but US 129 continued ahead on Broadway. 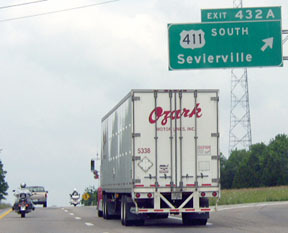 Also ahead was TN hwy. 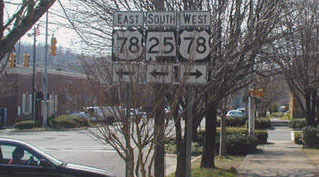 73, which also ran to the right on Washington. 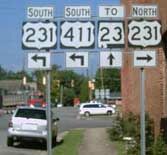 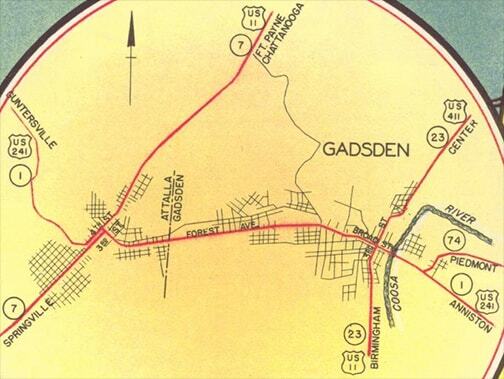 At the time, US 129 ran both right and left on Broadway, and to the left was also the north beginning of US 411. 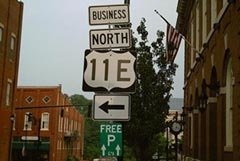 Finally in 1952, the US 411 designation was extended to its intended north terminus (more info and photos on the Bristol page).